Las Vegas is the undisputed capital of celebrity chef restaurants. If you’re a famous cook, you’re not famous enough unless you’ve got a joint on Las Vegas Boulevard. Below, we’ve listed 10 of the best celebrity chef restaurants in Las Vegas. 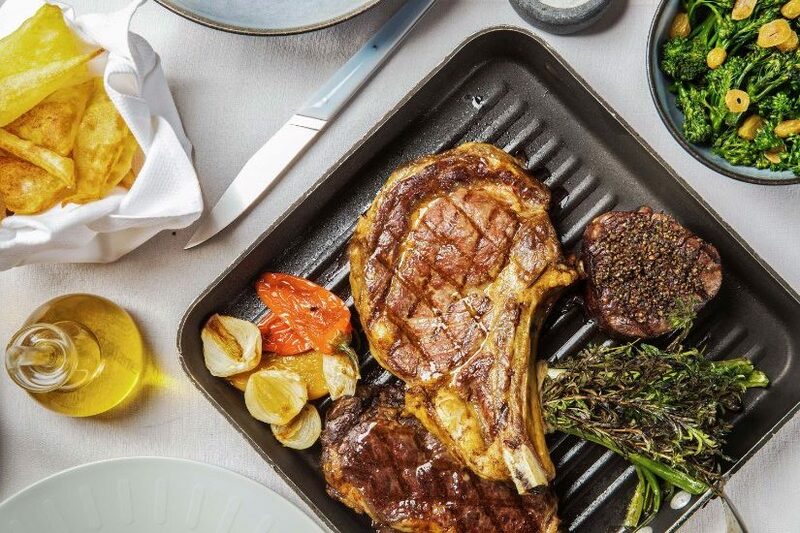 It’s nearly impossible to choose just 10 great celebrity restaurants in Las Vegas, so do keep in mind that there are plenty more beyond this list, too. 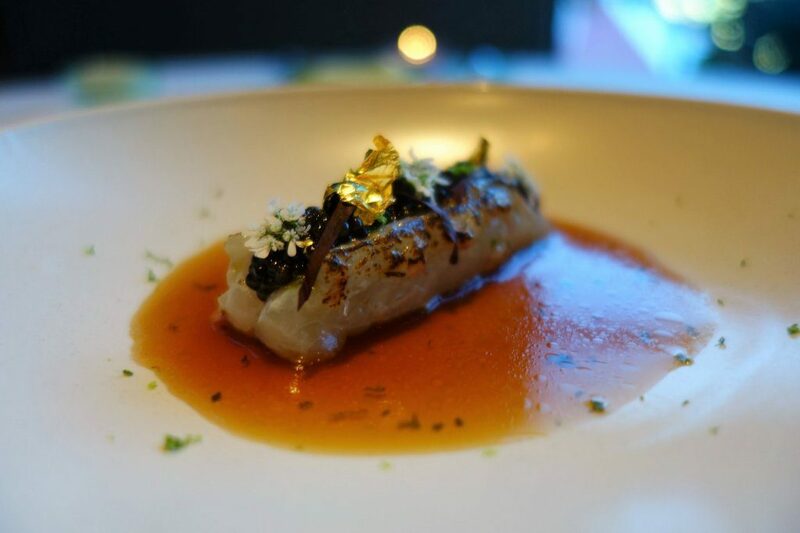 When it comes to celebrity chef restaurants in Las Vegas, both of Joël Robuchon’s in the MGM Grand are darn near the best. France’s most famous chef operates L’Atelier Las Vegas de Joël Robuchon, as well as the Joël Robuchon Restaurant. In the former, his exquisite recipes are prepared in front of you in an open-exhibition kitchen. Decor is red and black, sleek and classy. Order prix fixe or a tasting portion—you can’t go wrong. The latter, which is purple and plush with elegant decor and linens, is about as fancy and splurgy as you can get. And yes, it’s all worth it. Restaurant Guy Savoy, in Caesars Palace, is refined, quiet, and quite excellent. Guy Savoy, a master of a chef, has made sure that his Las Vegas restaurant presents as serious a fine dining experience as his lauded original in Paris, France. His Vegas spot has two Michelin stars of its own, a 13-course tasting menu, a superlative wine list, a caviar room, and a private chef’s table for those who want to see where and how the magic happens. Service here is dignified and highly attentive. José Andrés was named one of Time magazine’s “100 Most Influential People,” as well as a James Beard Outstanding Chef. 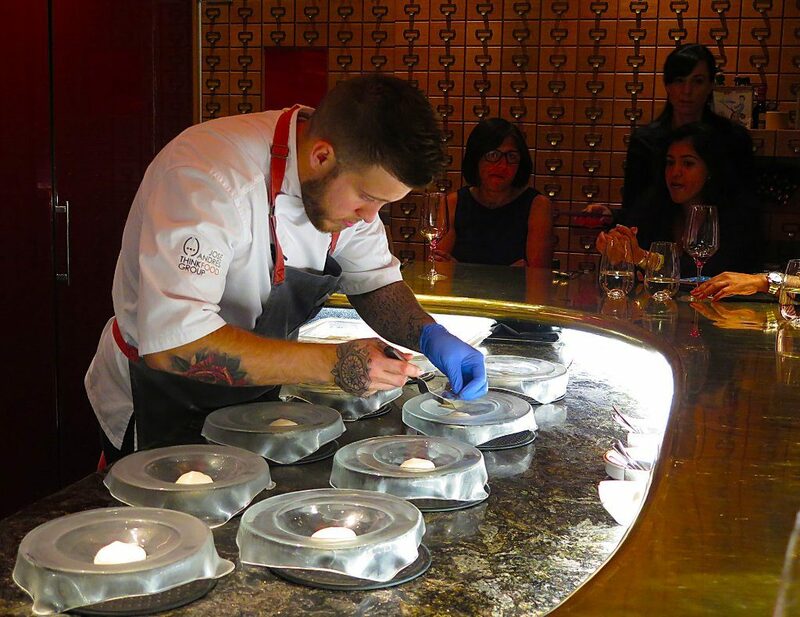 É by José Andres, in the Cosmopolitan, shows off why—it’s a hidden enclave serving avant garde Spanish cuisine; there are just two nightly seatings for eight people each, and the lucky patrons get treated to 21 courses of full-flavored surprises. This is a bucket-list item for most gourmands, though Jaleo, the restaurant that houses it, is no slouch either. 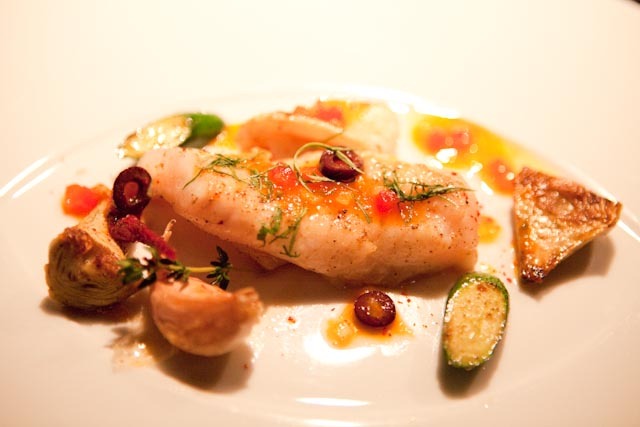 For that one, Andrés created inspired Mediterranean and Spanish dishes, presented beautifully in festive environs. The chef’s two other Las Vegas restaurants are Bazaar Meat, a large-portion steakhouse off the Strip; and China Poblano, serving Chinese-Mexican fusion food in a brightly colored dining room. Guy Fieri went to college at the University of Nevada, Las Vegas, and seems to have gotten the town’s spirit infused into his identity—and his cooking. As far as celebrity chef restaurants in Las Vegas go, this may very well be the first that comes to mind. 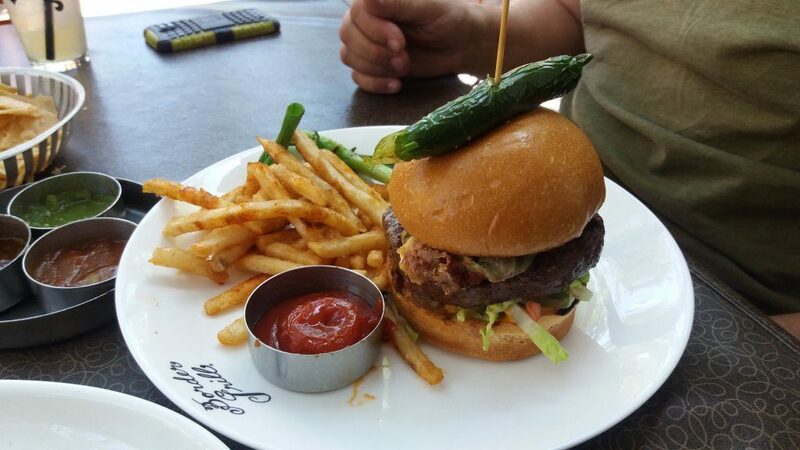 Guy Fieri’s Vegas Kitchen and Bar in the Linq Hotel is very, well, Guy Fieri. It’s casual, busy, and fun, with nice servers and big, bold entrees. 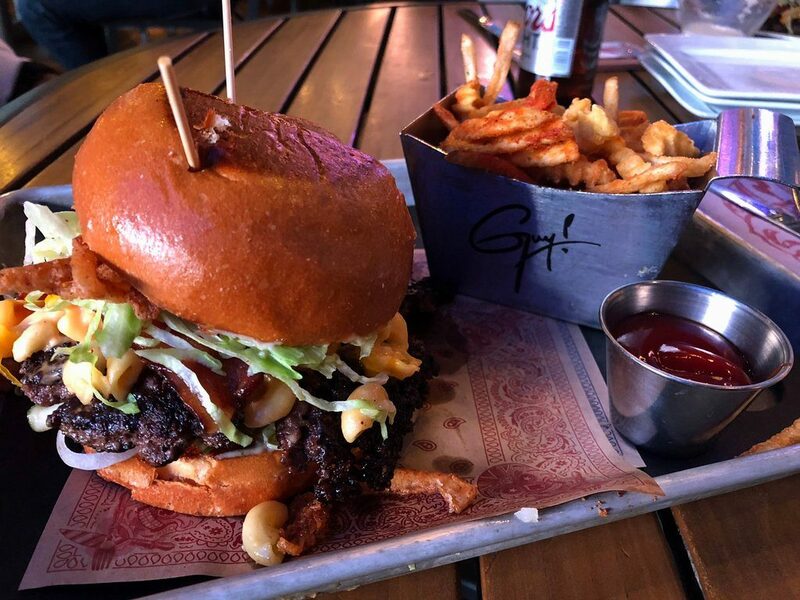 Order a Vegas-style burger and fries or share some “Trash Can Brisket Nachos.” Come here for lunch, late-night dining, lots of beer, and views of the Strip. Fieri also operates El Burro Borracho in the Rio Hotel, right next to the next to the VooDoo Beach pool party—it’s Fieri’s signature take on Mexican food. Beloved Los Angeles chefs Susan Feniger and Mary Sue Milliken rose to national prominence on Bravo’s Top Chef Masters and Food Network’s Too Hot Tamales. Their popular Border Grill chain has two Las Vegas locations whipping up modern Mexican food full of color and flavor. One is in Mandalay Bay and is great for brunch, which includes bottomless mimosas and unlimited small plates. The chefs’ second local spot is in Caesars Palace, where a ceviche bar lets you try many varieties, including Guatemalan, Peruvian, and Caribbean. Both locations feature quick and friendly service and bold Latin decor. Thomas Keller is the revered restaurateur best known for having created the Michelin three-starred French Laundry in California’s wine country, and Per Se in Manhattan, which also boasts three Michelin stars. 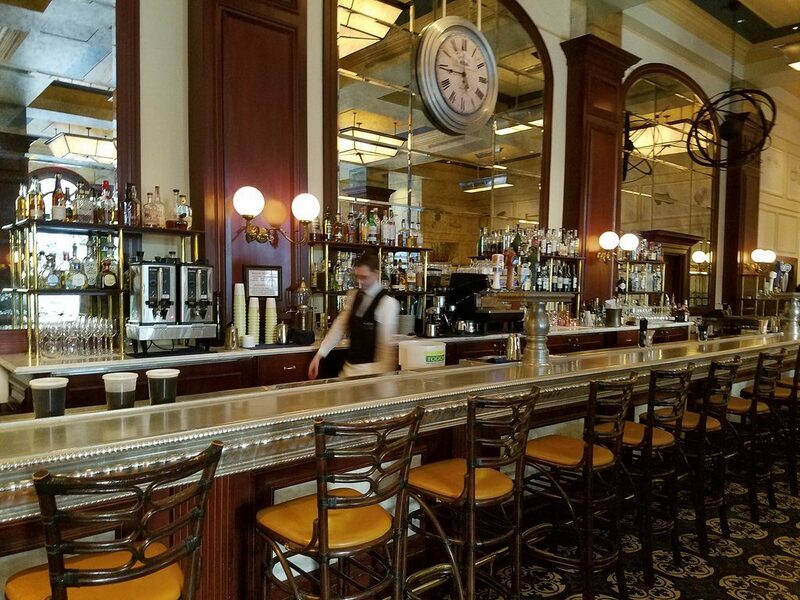 Joining the ever-growing trend of celebrity chef restaurants in Las Vegas, the famous chef transported the menu and ambiance of his much-loved Bouchon Bistro in Yountville right into the Venetian Resort. Come for the French comfort fare and bistro classics in this high-vaulted space full of warmth, or enjoy the night views from out on the patio. In either scenario, Bouchon Las Vegas presents expert service, extremely flavorful dishes, and hand-painted murals. This being a Thomas Keller joint, there’s an extensive wine list, too. Fans of Gordon Ramsay’s hit show will adore Hell’s Kitchen, which opened in early 2018 at Caesars Palace. It’s Ramsay’s fifth Las Vegas restaurant, but the first that attempts to replicate his studio set. A life-sized video of the intense television personality greets you at the door, and then you walk into an immersive experience whose details will be immediately recognizable to regular viewers. Ramsay is a Michelin-starred chef, and his culinary talent shines via concoctions like his smoked beet salad, lobster risotto, beef Wellington, and sticky toffee pudding. A huge bar offers craft cocktails, more than 20 wines by the glass, and a 30-option beer list. The vast 300-seat dining room features fire elements, as well as floor-to-ceiling windows that face the Strip and the resort’s fountains. It’s always packed here, so book early. Back in 2015, when Michelin-decorated chef Alain Ducasse debuted Rivea, his refined Las Vegas restaurant, he said of it, “Every detail transports guests to those endless summer nights in the South of France.” This romantic sentiment has held true throughout the restaurant’s existence thus far: Its inviting interior is done in cool blues and greens, and Ducasse’s French and Italian flavors, put together with local, seasonal ingredients, are always simple and fresh. Rivea sits on the 64th floor of Mandalay Bay’s Delano Las Vegas, a sky-high perch that provides breathtaking 180-degree views over Las Vegas. While soaking in the skyline, savor small plates, main courses, and desserts that are highlighted by sommelier-curated aperitifs. Specialties here include beef carpaccio, chickpea crepes, and Provencal caponata. Adjacent to Rivea is Skyfall Lounge, where deejays spin late into the night. 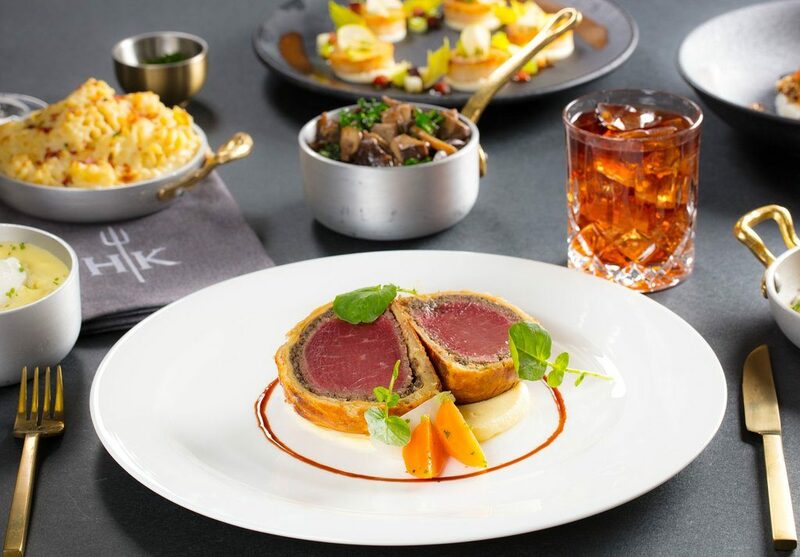 Wolfgang Puck is one of the world’s best-known chefs, so it’s no surprise that Cut has become one of the most prominent celebrity chef restaurants in Las Vegas. The Palazzo’s fancy steakhouse is modern and vast; rectangular chandeliers elevate the dining room, while expert servers help you choose your cut. 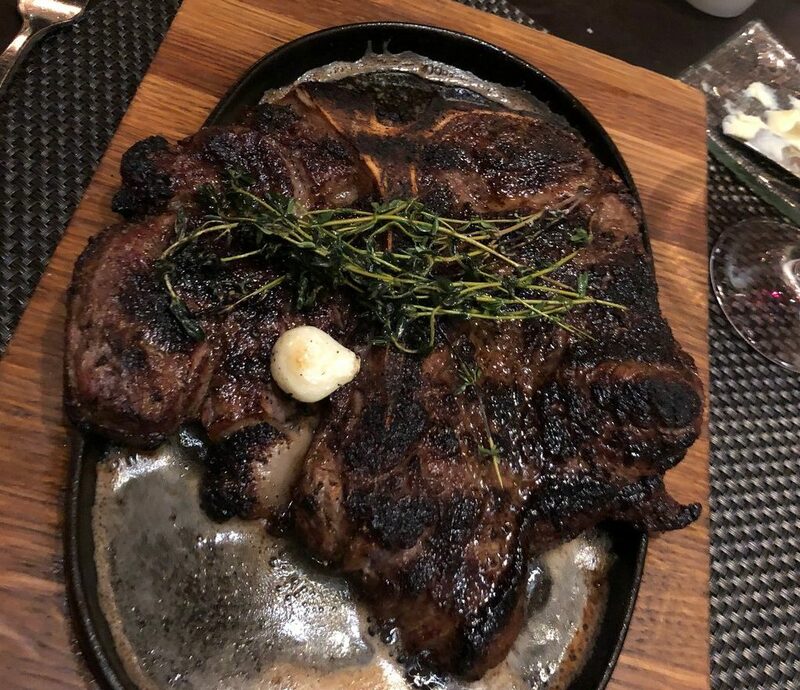 Options include Japanese and American wagyu, New York sirloin, a 12-ounce ribeye, and filet mignon. Vegetarians can create a worthwhile dinner by mixing and matching the long and creative list of well-prepared sides. Everything comes expertly plated, as a roving whiskey cart makes its rounds. Wolfgang Puck fans will want to visit his other Las Vegas restaurants, too: Spago, Cucina, Lupo, and Wolfgang Puck Bar and Grill. Giada de Laurentiis’s first restaurant has been a huge hit. Opened in 2014, the 300-seat Giada at the Cromwell Hotel features bright Italian flavors, an open kitchen for those who are interested in watching the chefs cook, and charming white-and-cream decor. With views of the Bellagio fountains, indoor and terrace seating, and an ambiance that melds elegance with fun, it seems that there’s nothing that the Emmy-winning Food Network star can’t do. The top chef puts her Le Cordon Bleu education to good use here—try the polenta waffles with Nutella for breakfast, the elaborate mimosa brunch, the lunch or dinner tasting menu paired with wine, and all those fresh-baked breads and pizzas. For dessert, the lemon ricotta cookies are sublime. If you’re staying at the Cromwell, you can order food from Giada right to your room. De Laurentiis’s second Las Vegas restaurant, Pronto by Giada, debuted at Caesars Palace in early 2018. –Original reporting by Avital Andrews. Follow her on Twitter @avitalb. Editor’s note: This story was originally published in 2018. It has been updated to reflect the most current information.